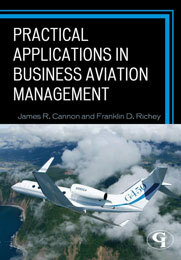 The book, Practical Applications in Business Aviation Management, and articles listed below were written by Jim Cannon, Principal Consultant for Sundog Aviation. 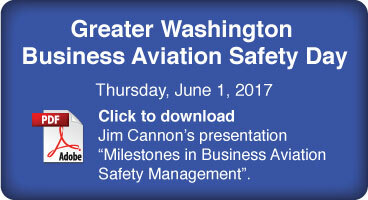 During his forty plus years in the business aviation industry, Jim has authored more than 80 articles focused on business aviation management and safety. 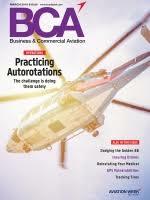 Business aviation is one of America’s most important yet least understood industries. Most organizations (about 85%) operating business aircraft are small and medium-size enterprises. They include a wide range of organizations: state governments, universities, charitable organizations, and all types of businesses. While the organizations that rely on business aviation are varied, they all have one thing in common: the need for fast, flexible, safe, and secure access to destinations worldwide. It’s 9:53 p.m. over the Andaman Sea on Nov. 9; 12:53 a.m. on Nov. 10 in Singapore; 8:53 p.m. in Dubai; and 11:53 a.m. the morning before in Sunset, South Carolina, my home base — all of them waypoints on this special air marathon. Firmly ensconced in seat 47F on Emirates Flight 355 from Singapore to Dubai, cruising at 554 mph (Mach 0.83) at FL 400, this is my first flight on an Airbus A380-800. Everyone is confronted by hazards every day — in their commute to work, the food they consume, the tools they employ and, in some places, the very air they breathe. Hazards form the foundation of risk management. In order to reduce risk to a level as low as reasonably practicable, potential hazards must be identified and then reported, discussed, analyzed and, ultimately, mitigated. Upon entering the Navy following graduation, I learned of the tradition of awarding the Battle “E” Award as recognition of “Effectiveness”: sustained operational performance and continuous readiness demonstrated by a ship and crew achieved during subsequent qualifying periods of review. This was my first introduction to the concepts of quality assurance and auditing. Despite heavy braking, the Gulfstream GIV left the runway still doing 151 kt. It rocketed across the overrun area, then the grass beyond, smashing into approach lights and a localizer antenna in the process. Still full of energy, it crashed completely through the airport fence and then plummeted into a ravine 1,800 ft. beyond the runway end whereupon it broke in two and burst into flames. The two pilots, a flight attendant and four passengers perished in the calamity. You’re en route to Europe on a trip that will involve multiple destinations before returning home. You have your oceanic clearance and have just passed 50 West. The cockpit conversation turns to contingency planning. 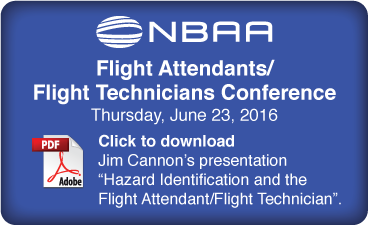 Although you had, pre-departure, briefed ETP for loss of engine or pressurization, you and your fellow pilot take time to review offset procedures in the unlikely circumstance you are forced to respond to one of a number of possible emergency scenarios. The crash of Air France Flight 447 into the South Atlantic off Brazil early on June 1, 2009, will forever be considered by safety experts worldwide as one of the classic examples of inadvertently fully stalling a perfectly good aircraft at cruise altitude due to the mismanagement of an onboard malfunction. Both pilots occupying the cockpit seats and the captain standing behind them were clueless as to why this was happening. 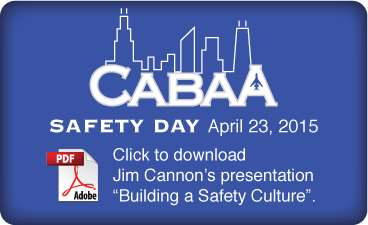 Technological advancements during the past 30 years have equipped today's business aircraft with unparalleled levels of safety, automation, and crew information. Enhanced situational awareness (SA), a key safety factor in the modern cockpit, has increased the crew's reliance on automation to manage each flight segment. The fate of the free world was seriously in doubt during the summer of 1940. The massive evacuation of English and French forces from Dunkirk followed by the surrender of France to Germany on June 22nd, marked Great Britain as the next target of Nazi aggression. The lead passenger on your flight to walks up to the cockpit while enroute to Chicago and asks how the weather looks. He wants an update from his Weather Channel briefing earlier in the morning. Having just received an AFIS report, you respond that current conditions indicate that you will be shooting an instrument approach into Midway. He asks if you think you will be able to land and you respond that the chances are very good, given the current forecast. The cell phone goes off late in the day. You had just completed the first draft of next year’s budget and sent it on to your boss for review. One of your senior captains is on the line informing you of an incident that has just occurred. It’s not the aircraft that was involved, it’s the other pilot. How often have you heard someone remark that they really like the people in our industry? Quite often I hope. Without quality people, we would not be able to provide the level of customer service that business aviation is noted for.